I was really having a hard time finding a crib that I love, until I stumbled on this beauty. 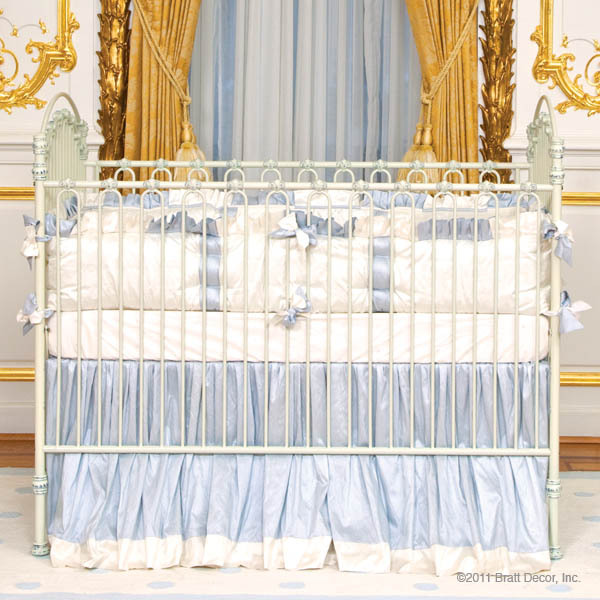 It is the venetian iron crib by Bratt decor. I love the antique feel it has, yet it is still build to today's safetly stantards. Please ignore the bedding in the pictures, it is not my taste! The only trouble I am going to have is picking a color. There is 4 to choose from and I like them all! And maybe convincing Eric to spend this much on a crib! Dayna there is antique, white, venetian gold, slate and pewter. Right now I am leaning towards the slate or the white, but I love them all!